***melt very SLOWLY at a low temp!!! This will help prevent the lip balm from becoming graining later on! Once everything is melted, remove from heat and add essential oil (and, if using, lipstick). Pour into lip balm tubes, tins, or jars. If you decide to make the face cream, which I also use as hand cream :), or the Arnica salve, you'll be able to use these same ingredients! Then you'll really see the savings! Homemade lip balm also makes a great gift!! I hope you can come!! 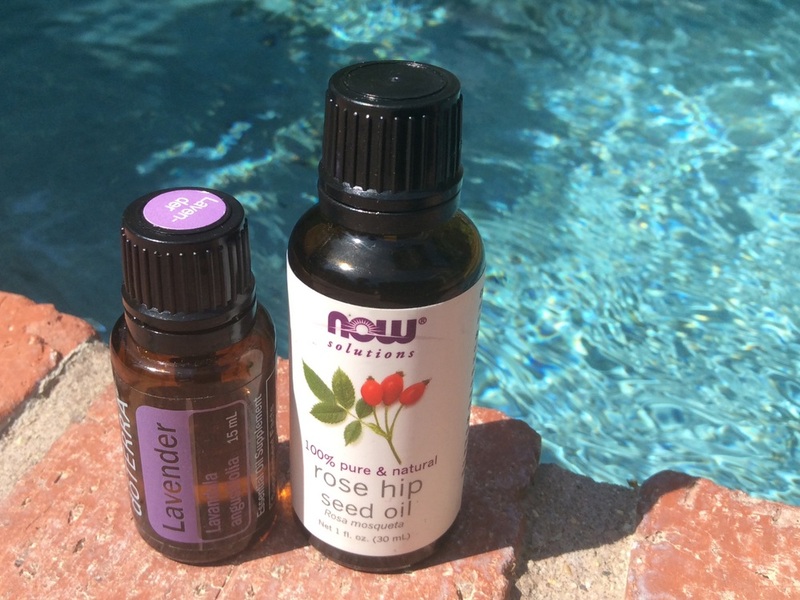 I'm happy to share with you a couple of my favorite all-natural, even good-for-you, deoderant recipes! Many of you are aware of the dangers of antiperspirants. One of the big ways our body eliminates toxins is through sweating! If we block the elimination of toxins, then we are storing those toxins in our bodies, and particularly in the lymph nodes around our arm pits. This is one cause of breast cancer, as well as other cancers. In addition, aluminum, the ingredient used to prevent perspiration and the elimination of those nasty toxins, is known to cause Alzheimer's! Yikes!! So here's my favorite!! It's made only of essential oils and, not only does it make me smell wonderful, hahaha! ;0), it is also beneficial as a mood lifter, hormone balancer and cancer and Alzheimer's fighter (thanks to the frankincense). Melt shea butter and coconut oil in a double boiler over medium heat until barely melted. -- for a make-shift double boiler, I use a quart size glass mason jar and place it in a small saucepan of water until melted. Add essential oils and pour into a container for storage. I was in Las Vegas this weekend for my boys' basketball tournament and, boy, was it dry!! I was so happy to have my body oil! The beauty is that it doesn't have any chemicals and, conversely, has beautiful properties to repair and soothe damaged skin! And with the lavender, you get the added benefits of calming and relaxation,....! Apply generously all over body! I especially like to use it after a bath or shower when I am still slightly damp. If there's any homemade skin care product you should try making yourself, this is it!!! It's very easy and rewarding!! This rich, smooth cream is a treat! It is great for everyday use, morning and night! It is healing on baby's fresh skin as well as mature, aging, rough or dry skin. It's really not that difficult to make, a few steps are all that's needed. And, might I say, it's very rewarding when you get to enjoy the final product! Fill a glass jar 3/4 full with calendula flowers. Fill the jar almost to the top with equal parts grape seed and apricot kernel oil. 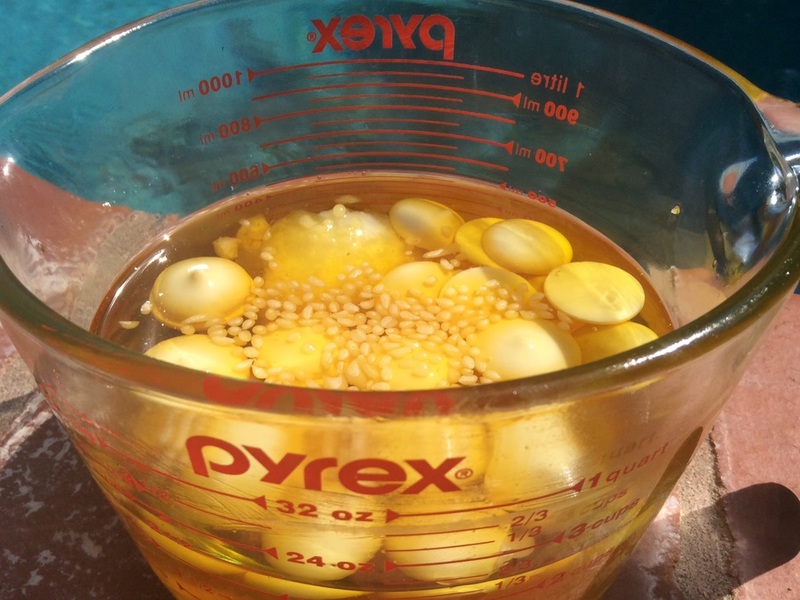 Place in a warm, sunny spot, and let the herbs and oil infuse for 3 to 4 weeks. Strain and discard spent flowers. 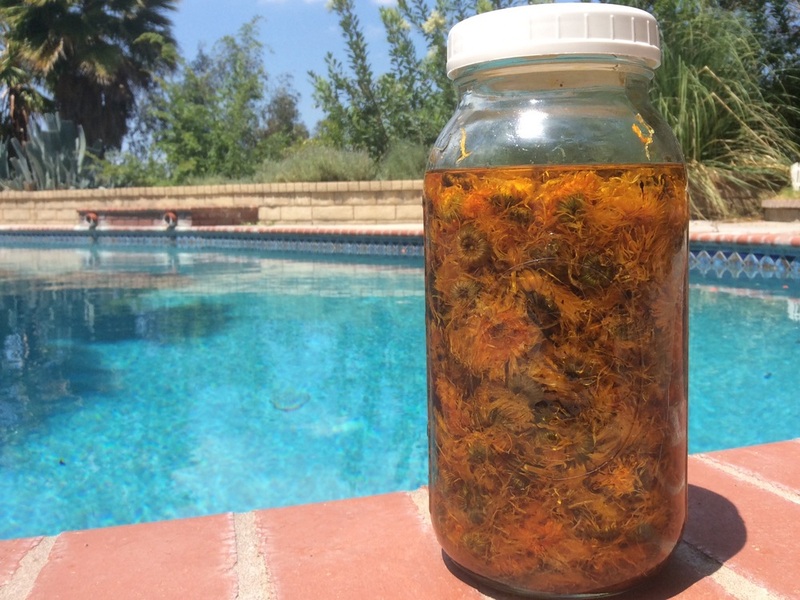 If you want to make your calendula oil extra strong, add a fresh batch of flowers to this oil and let it sit for another 3-4 weeks. Store in a cool, dark place -- I keep mine in the the refrigerator. **The oil will keep for up to a year. 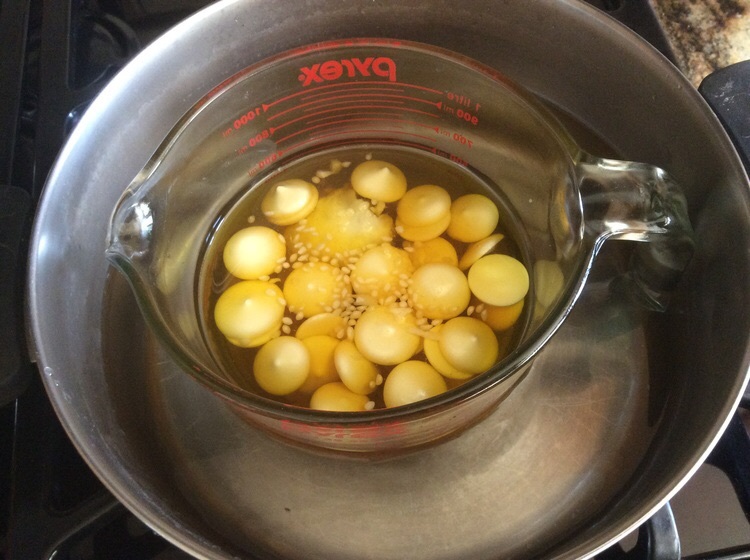 Combine the calendula oil, cocoa butter, coconut oil, and beeswax in a saucepan; double broiler; or a glass jar in a pan of water, over very low heat and warm until everything is melted together. Let cool for at least several hours or overnight, until the mixture is somewhat thick and firm. In a separate bowl, combine the aloe vera gel, distilled water, and essential oils. Turn the blender on high speed and slowly drizzle the water mixture into the oil, continuing to blend until all the water mixture has been absorbed by the oil. The blender should “choke” as the mixture becomes thick, white and creamy. Spoon your cream into small jars. Seal and store in a cool dark place. I keep my extra in the fridge. It should be good for up to a year. If you'd like to try the cream before you jump in and make it yourself, you can ORDER IT HERE. Besides my #1 beauty secret (shhhhh! ), "don't look in the mirror very often or for very long...and keep the bathroom lights low☺️!" My #2 beauty secret is oil-cleansing!! Needless to say, I didn't see much of a difference with my skin. But, as my hormones are changing and I'm starting to have "hot flashes" in my FACE😝 and I'm probably in peri- menopause or something of the kind (oh, and I drool on myself at night -- how embarrassing! ), I noticed that my skin wasn't looking like I remembered it used to! I decided I would put forth a little more effort! And, alas!! My skin looks better! All I've done is take an extra minute, really, just one extra minute to massage the oil into my face! You may be thinking, "what the heck is she talking about?! Oil?! On her face?! " Yep! Your skin actually needs oil, that's why your skin produces it! It needs oil to function properly: to heal, protect and moisturize. Besides being great for your skin, it's amazingly inexpensive and, you can tailor make it for your skin type! --Castor oil - Dr. McGarey, in his book, "The Oil That Heals," says, "Castor oil will leave the body in better condition than it found it." It is a fabulously healing oil, but it can be drying to the skin, so you'll only use a little bit. For Oily Skin: Blend 30% Castor Oil to 70% Olive, Almond or Sunflower Seed Oil. For Normal Skin: Blend 20% Castor Oil to 80% Olive, Almond or Sunflower Seed Oil. For Dry Skin: Blend 10% Castor Oil to 90% Olive, Almond or Sunflower Seed Oil. Massage a quarter-size amount of oil into your skin. Spend about a minute or two massaging it in. In the mean time, run the water until it's hot. Next, wet a wash cloth with hot water and lay it over your face. Enjoy this feeling!:). Then gently rub the oil off your face. Repeat with the washcloth a few times until your skin feels clean and make-up is removed -- yes, I also remove my mascara with this! **It works great!!! It's inexpensive!!! I hope you try it!